When it comes to things people want in their cars, a fire is pretty far down the list, and that’s true for pretty much anywhere in the world, including South Korea. This is bad news for South Korean owners of BMW diesels, which have been catching fire at an alarming rate: 11 caught fire in July alone, and since the beginning of the year, 28 BMW diesels have had major engine fires. What’s going on? Here’s what is known: South Korea does buy a lot of BMWs; a full 30 percent of BMW 5 series cars were sold in Korea, though other countries with similar numbers of BMWs haven’t reported the same issues. 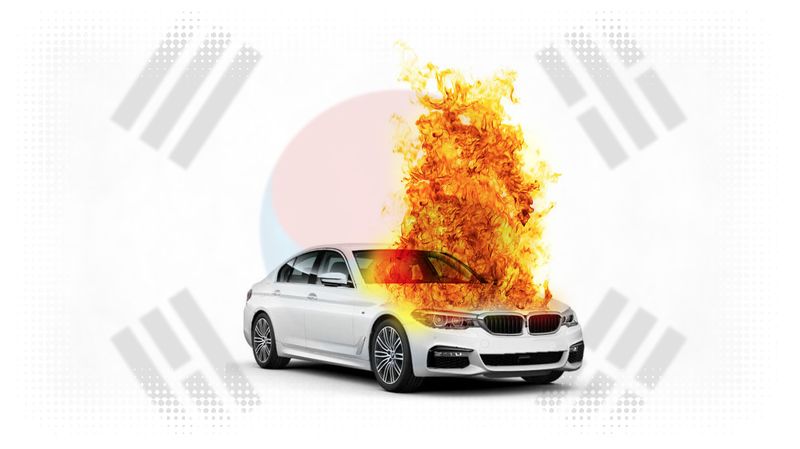 There was even a class-action lawsuit from owners of BMW 520d sedans, of which 20 have caught fire in South Korea since December. According to The Korea Times, 520d owners won $4500 each against BMW Korea and their Korean distributor. None of this explains exactly why Korean BMW diesels keep bursting into flames. The culprit seems to be the exhaust gas recirculation (EGR) module, which BMW issued a recall for for 3, 5 and 7 series cars. Korea’s Chosunilbo reports that there seem to still be about 100,000 affected BMWs with the EGR modules still on Korean roads. What’s confusing is that some reports suggest the EGR module is of local manufacture and unique to Korea, while other sources say BMW uses the same module for cars around the world. So, at this moment, no one is really certain why Korean BMW diesels keep self-immolating. There’s theories involving climate and local variations of software for emission controls, but there has yet to be a clear answer. We have reached out to BMW for comment and will update when we hear back. In the meantime, Korean BMW diesel owners, be careful, okay? Keep a fire extinguisher handy.